At Northside Hospital, safety is a top priority. We require all our vendors and contractors to adhere to and maintain strict safety protocols. Segars Group is responsible, safe, and respectful while working with us. Safety is not jeopardized even when on a tight construction schedule or budget. We consistently utilize their services. 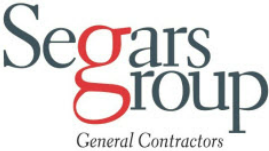 Segars Group believes that everyone should work in a healthy and safe environment, not only in the office but on the job sites as well. Our clients know our reputation for maintaining clean and responsible construction sites, managed by superintendents and project managers with decades of experience in safe and OSHA compliant building procedures. At Segars Group, everyone is family, and we have that mentality about every job. That our project managers ensure policies are being enforced with weekly meetings on site with our superintendents and foreman to ensure compliance with our safety policies. Segars Group is proud that our team has maintained a violation free record with OSHA and that we have zero accidents recorded on our job sites since incorporation. Our team members our important to us and we take their safety seriously.